Lovely images of one of my favorite birds! You know, when the entire worlds seems frozen and still, you'll always hear a chickadee somewhere. What a resilient sturdy bird despite its diminutive size. Great shots of these little beauties! 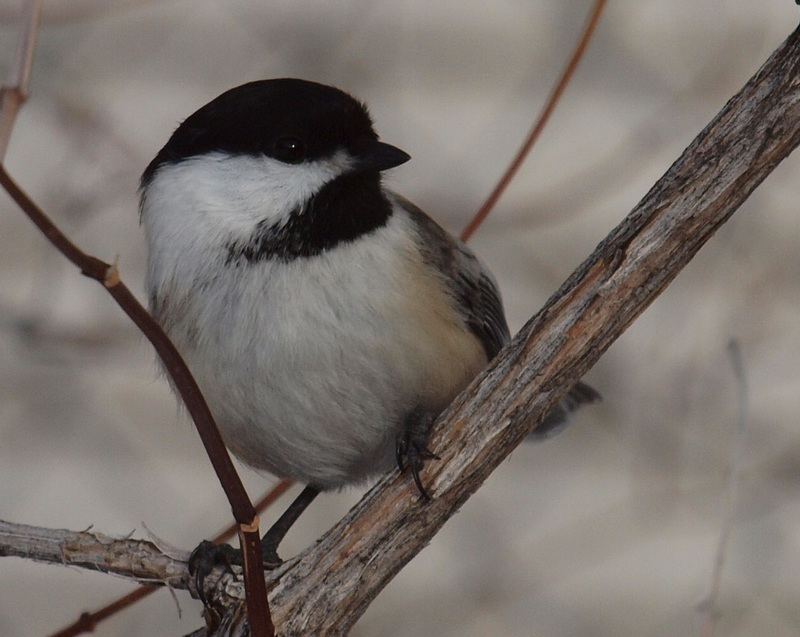 What nice shots you got of the chickadees! I have the same species visiting my yard! @Hilke - Who can't love chickadees?! @Kyle - thanks Kyle. I love your blog and just added it to my blog roll. @Kathiesbirds - There you have it...chickadees uniting us far and wide! 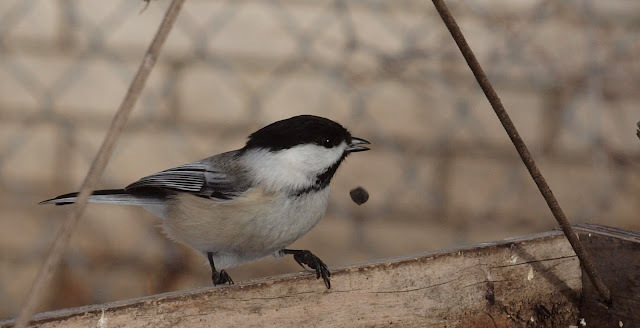 Fun, fabulous images of Black-capped Chickadees! Always a welcome visitor at our feeders. Viewing your wonderful photos brought a smile to my face. 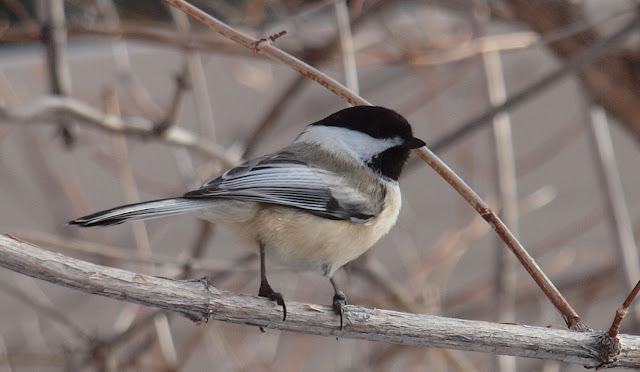 Like many of your followers I love the black-capped chickadees as well. When it's really cold they are often the only visitors - you have captured all their cheerfulness. Nothing like hearing a "dee-dee" when you're outside - somehow it sounds so much like "Hello - how are you - where are my seeds?" Thanks for the great photos. @Julie G. - The reason I blog is to make other people smile! Thanks for sharing your smile. @Barbara - You speak Chickadee too?! Cool. I thought I was the only one. As common as they are, I never get tired of watching chickadees- especially when they are roaming with their families in the spring. Great photos. The plumage on that little bird is so beautiful. Exceptional shots as always Robert. 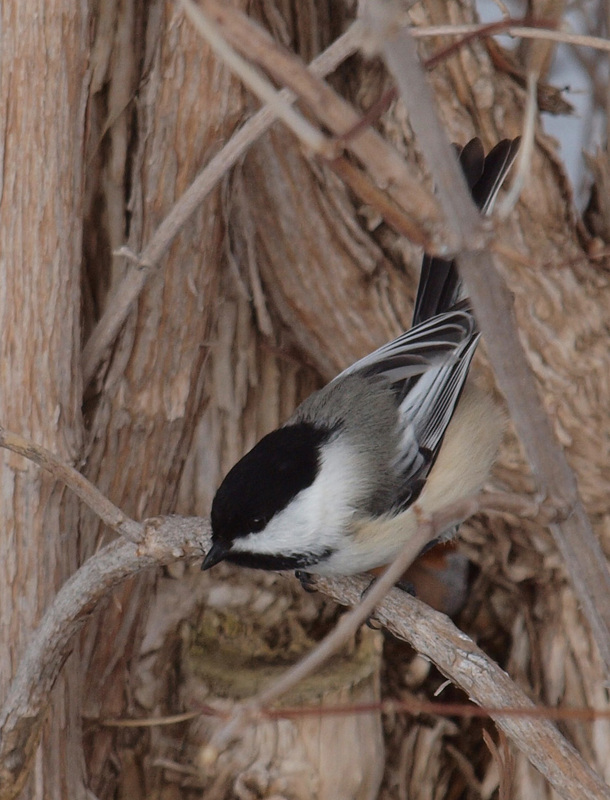 This is the first year I had a Mountain Chickadee visit my yard. I was thrilled to say the least! You have done a great job capturing this little beauty. The second, close-up shot is really nice. I find it difficult to get the eyes on these birds because of the black on black, next to the white. You have done that nicely.